WINDWARD 24 is a shallow draft cruising sailboat. Like her successful sisters, she is ideal for daysailing and overnighting. Cruising accommodations are provided in the cabin and in the cockpit under an awning. Glue and screw construction is rugged fir framing, two layers of 1/2" plywood on the bottom, and 1/2" plywood sides with epoxy completing the hull materials. Look for a design review in Boat Design Quarterly (No. 6). 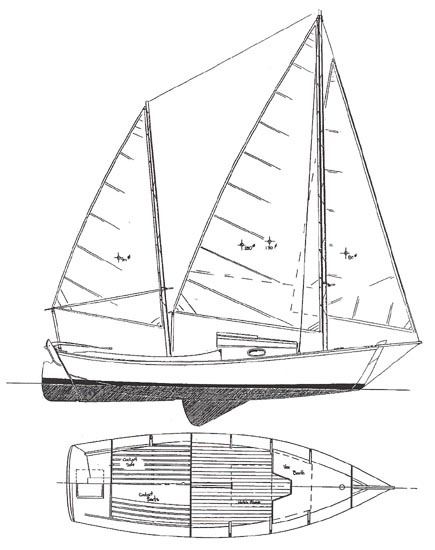 Plans include: materials, lines, construction, and 3 different sail plans. A full size frame plan is available. Purchase and Download Study Plans for the WINDWARD 24 for $5.00 in PDF format (zipped file). 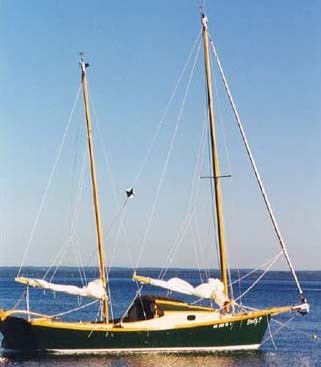 Purchase Construction Plans for the WINDWARD 24 for $220.00 for delivery by US Postal Service. Purchase Full Size Frame Lofting for the WINDWARD 24 for $220.00 for delivery by US Postal Service.